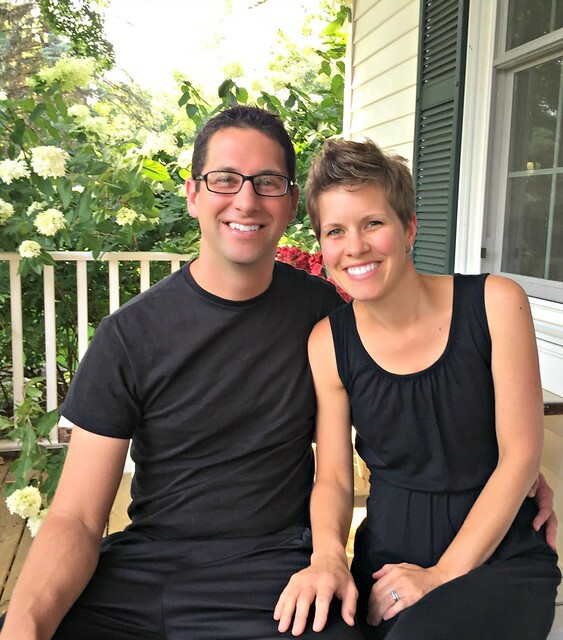 A few weeks ago, I shared Dave and my “super early morning routine”, how we diligently woke up around 5:30am all summer long, and why we bumped our wake-up time to 4am once school started last month. It’s not always easy or fun to wake up at 4am (going to bed by 9:30 isn’t always fun either), but our early morning wake-ups have had extremely positive effects on our own personal lives, our family, our home, and (of course) our to-do lists! After sharing our new routine on the blog, I was inundated with emails and comments asking how on earth we survived on “only 7 hours of sleep”. Dave and I were both caught a little off-guard by these questions as we really never considered “only 7 hours” to be a lack of sleep. In fact, we would consider a full 7 hours of solid sleep to be a huge luxury. 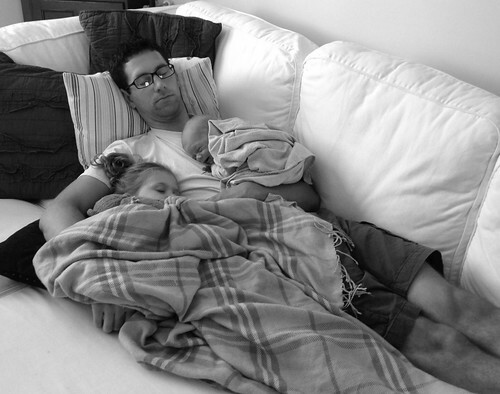 We usually get closer to 6 hours of sleep per night — with at least one wake up by one of the kids in there somewhere! And of course, we survived on MUCH LESS then 6 hours per night for the 3+ years when Nora didn’t sleep (Simon and James were both newborns throughout this period as well). 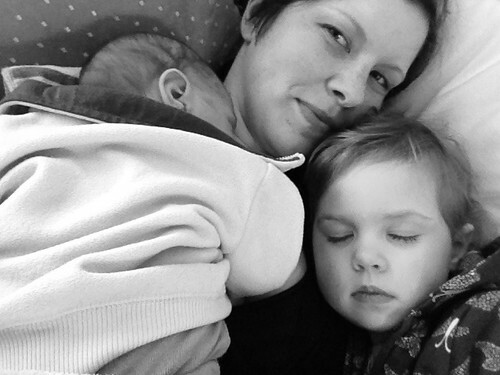 Yes, there are days when I feel more tired than others — but nothing out of the ordinary for a mom of 4 young children, and certainly not to the point where my health or wellbeing suffers. I don’t have sugar/carb crashes mid-afternoon. I’ve never had an energy drink or eaten an energy bar. I’m tired when it’s time for bed, but until then, I usually function just fine all day long. 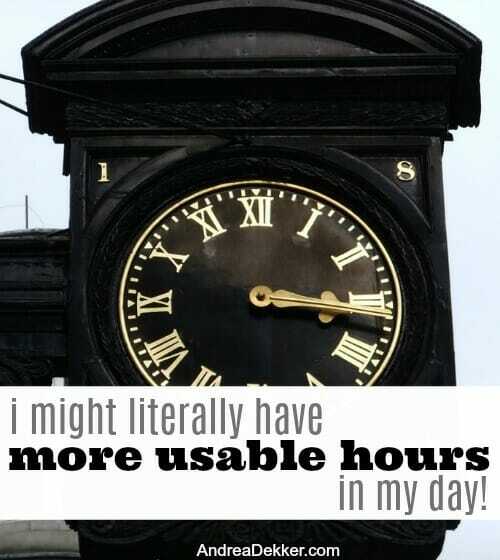 Which means I might literally have more “usable hours” in my day! If you are one of the adults who regularly require 8-10 hours of sleep at night to be able to function during the day — good for you for acknowledging this and serving your body well. I’m positive you are better off sleeping more and feeling rested than trying to push through your days with less-than-adequate sleep. However, realize that you just might not be able to accomplish everything Dave and I accomplish as we have 2-4 more usable hours EVERY SINGLE DAY! That equates to 14-28 more usable hours per week… and roughly 30 – 60 extra DAYS (yes days) of useable time over the course of a year! Seriously! 2 months of extra productive time – that’s a lot of hours/days/weeks! Dave and I are both very efficient and good stewards of our time, but the fact that we require less sleep and, therefore, have so many more usable hours in our day plays a HUGE factor in how much we are able to accomplish each and every day. We have more time for ourselves. We have more time for each other. We have more time for our children. We have more time for extended family and friends. We have more time for our careers. We have more time for all our home and yard projects. We have more time for church, school, and community activities. So if you’ve ever wondered “how does Andrea get so much accomplished?” it’s because I might actually have many more usable hours to accomplish it all! Changing the subject I wonder if you would consider doing a Q and A type post – if we could all throw some questions at you you could choose some to quickly answer? I have three I keep wanting to ask you! 2. one of the things I do best is break down overwhelming things into bite-size manageable to-dos, so I honestly rarely feel very overwhelmed. That said, if the toys are overwhelming you… that’s a fairly easy fix (just get rid of half of them). it will be a bit of a shock right away, but I doubt the kids will miss them much afer a week or so. You might as well purge them now BEFORE the onset of holiday gifts arrives! My diet hugely effects the amount of sleep I need. Right now, I’m eating dairy free/keto/paleo. Basically meat, above ground veggies, easy to digest nuts and seeds, and healthy fats. No sugar, no caffeine, no carbs, hardly any fruit even. But it all tastes amazing, it’s super quick and easy to prepare, and I still bake every week. I used to need 9 hours on the standard American diet (carbs, dairy, sugar, too little protein and veggies) and when I slip into this again, I have sugar crashes all day and need tons of sleep. When I eat dairy free keto, I have tons of energy all day (and I work 27 hours a week and have a 3 year old and 1 year old!) Sometimes I have trouble going to bed on time cause I’m not really tired. I’ll stay up til 11 and wake up at 6 feeling totally refreshed. I really think diet and metabolism has a lot to do with it! oh wow — that’s so interesting! I’ve cut out a lot of sugar and carbs, and I’ve never been a caffeine person. I can tell that my energy has been higher. Interestingly enough, when I have low energy, the foods I want to eat are the quick/simple snacks (basically all carbs and sugar) — which then makes me feel even more tired. It’s a vicious cycle! yes… maybe when they are all in school you’ll have more time! I recently started using a Fitbit and it totally changed how I looked at sleep. the app shows how much of each type of sleep you are getting. I discovered I could get 9 hours of sleep and be tired and 6 and feel great because what mattered more was the type of sleep I was getting. I’ve been under a lot of stress and was sleeping 9 hours, but woke exhausted. My Fitbit told me I was in light sleep almost all night with lower than bemchmark REM and deep sleep. I began destressing activities before bed and when i do that I sleep 7 hours but wake feeling good. My app tells me I’m now hitting the REM and deep benchmarks more often and I feel it. Caffeine, sugar, and stress will all keep you in light sleep longer so I would guess you get high quality sleep! wow — that’s cool. Nora says she wants a Fitbit (apparently kids in 1st grade have these things!) and Dave and I just laughed! It would be interesting to track her sleep pattern though — she’s always been our worst, most restless sleeper! We got our daughter (then 7 yrs/2nd grade) a Garmin Vivofit Jr for Christmas last year. It’s a nice kid watch that also allows them to use a timer (think 2-minute teeth brushing and reading homework). At first I thought it was crazy too, but she does get a lot of use out of it. It also tells her when she’s hit a “goal” – such as 60 minutes of physical activity. The sleep tracker is interesting to look at. I’m not sure on the accuracy of the light vs deep sleep, but it certainly seems to correlate with the sleep times. We would sync it with the tablet or phone for a couple of months (to look at sleep and mark off chores) – but now we don’t bother with it. She can wear it swimming or bathing, and when her first band wore out (after 9 months of use) we just got her a replacement (generic) band for about $7 on Amazon. I knew that caffeine would affect sleep but didn’t think about sugar! I know I sleep better when I cut out afternoon coffee, even if it’s decaf, because the sugar is probably making it worse! oh yes — sugar is a HUGE factor in sleep (as well as how tired/awake you feel during the day). And I should say “refined sugar” — sugar from fruit or honey isn’t nearly as detrimental to your sleep or overall mood/health! Such an interesting post. People seem to have very strong opinions about their sleep lives, but I’d encourage everyone to try different things. I’ve realized I like to sleep but actually function much better on 6 1/2-7 1/2 hours. I always assumed that because I never felt “awake” and alert in the morning, I needed tons of sleep. Well, during my kids’ infant years I learned it doesn’t matter how much or little I get, I will never be a “jump out of bed” person. I have one cup of coffee in the morning, eat very little sugar, get 7 hours of sleep, and feel so much more rested now with three kids than I ever kid when I had no kids and got nine hours of sleep a night. My husband is great at utilizing his time the best he can. He always gets up at 5:30 am so he can be home for dinner at with us at 6:00. Whenever I have too much to do and too little time, he always reminds me I can get up an hour earlier. Even though I don’t naturally like it, it’s always worth it! YES — Just keep trying different things until you find something that works. Then, if/when that stops working, try other things. That’s the story of my life — from sleep to meal planning to house keeping to laundry etc. etc. Just keep trying new things until something seems to work really well! Thank you for pointing that out (I’m being serious)! I seem to need about 7 to 8 hours of sleep, but an interesting point from the reader (Carol) below about the “rejuvenating” sleep between 10pm and 2 am. yes, I do think there is something to be said for going to be on time. I feel more energetic with less sleep now that I’m going to be earlier, versus getting more sleep but staying awake until midnight. Crazy how the human body works! I would guess your diet also has a lot to do with your energy levels. You don’t drink caffeine or eat only once/twice per day. Drinking healthy beverages and eating small amounts of healthy foods all through the day help sustain your body/energy levels. Also the fact that you are always going/doing something helps. A body in motion stays in motion. (A body at rest stays at rest.) Once again, proof of “everything in moderation” being the way to go, lol. and yes, I’m always and forever an advocate for “all things in moderation”! Love the picture of you two at the end! You look so happy, healthy, and young! Have you ever heard of “short sleepers”? Look it up, I am so envious of them! I also only need about 6-7 hours of sleep BUT it depends when I go to bed. If I go to bed about 10, I will feel fantastic by 4. But if I go to bed past midnight, it doesn’t matter how much I sleep, I will feel terrible. I’m in the habit of getting up very early as well. To accomplish this I go to bed early and sleep seven hours. It’s totally enough sleep for me. I think if a person was interested in an early morning routine going to bed a little earlier and getting up a little earlier each day until she found her sweet spot of sleep would be a worthy endeavor. Those extra hours each day are so great! I just went back and read your post from a couple of weeks ago. It’s possible that you do just get by with less sleep, but years ago, our family chiropractor told us that the physical body is rejuvenated during the approximate hours of 10pm to 2am, and emotions between 2-6am. I definitely know that if I am waking up around 3 am, unable to sleep, that I am worried and stressed about something. Also, when I had post-partum depression almost 22 years ago, I was not sleeping from 2:30 – 6:30 am every single night, which is when my chiropractor told me what I mentioned above. Once the depression was gone, I slept through the night again. I wouldn’t be surprised that getting your 10-2 sleep gives your body a fantastic boost. Also, having routines and a picked-up house set a stage for less stress for you and your family in your home. That is an interesting concept that I’ve never heard of – but it does make sense. Wow — thanks so much for sharing Carol! I suppose if my emotional health starts to suffer, I’ll just try sleeping in longer. Also, crazy enough, when I had post-partum depression with Nora, I was ALWASY away from 2-4am! So interesting! And yes, I do think having routines and schedules and a less clutter home help me feel more energized too!